Let me just say I am ever so grateful to have received an invite for this event I have never attended an event quiet like this one (thank you Laila from Cult London). Myself and blogger Alisha White were thrilled to be attending a beauty event as we have attended countless fashion shows within the past month. The #DefineYourBeauty event held at the remarkable Agua Spa located within the Sanderson Hotel was a great evening for those of us interested in natural skincare. 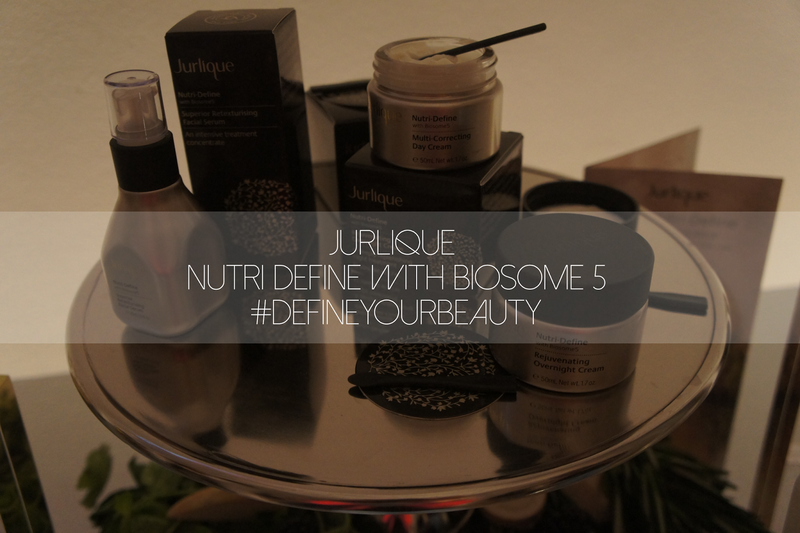 The event focused specifically on the new Nutri Define Biosome 5 range, where Jurlique use a delivery system that gets to the bottom layers of the skin helping to combat ageing and the sagging of the skin. I was obsessed with this lift... look at the inside, so beautiful!